Whiten your teeth the fast, safe and easy way. Reduce sensitivity with this new formula.Guaranteed fresh with up to 2 years shelf life if stored in refrigerator.Each syringe contains 1.2 ml.Dispensing tips on each syringe. 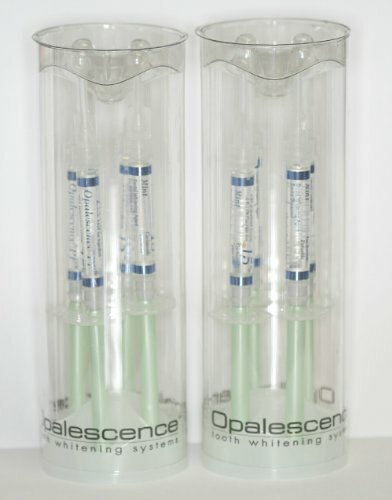 If you have any questions about this product by Opalescence, contact us by completing and submitting the form below. If you are looking for a specif part number, please include it with your message.